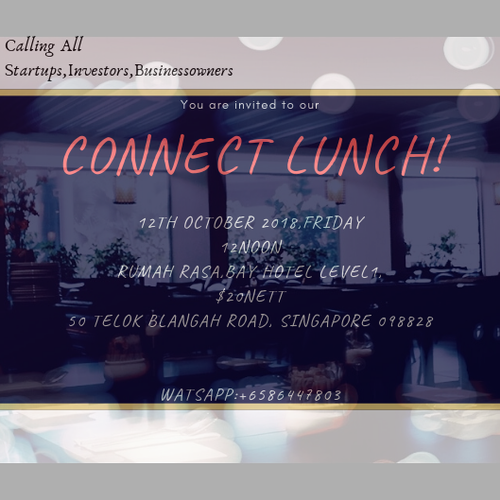 Calling all business owners, startups, investors for a just nice size of networking. This is a business connection for you to connect for how to grow your business. Showcase your business ideas to potential investors, brand activation all under one roof, investors looking for new potential business in a blockchain era or not necessary Fintech could be delivery, transportation, food & beverages that is lucrative potential businesses. Come over and have lunch together! Its a 'smalltalk' big business get your deals over lunch in a casual and relax small group networking.